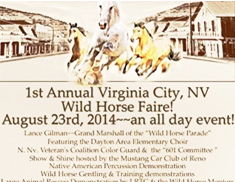 Wynema Ranch Wild Horse Sanctuary in Reno NV. 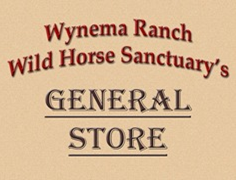 Wynema Ranch Wild Horse Sanctuary prides itself as an eco-friendly rescue and rehabilitation refuge for America’s wild mustangs, burros, and mules. For these majestic creatures that once roamed the range free, a safe haven and alternative to slaughter has been conceived. 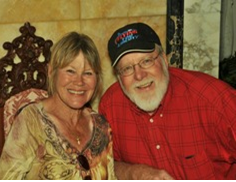 The premise upon which this sanctuary has been established is that all our rescued animals are given the best chance for a rewarding life in their new restricted regimen and that each animal will be given a new purpose. 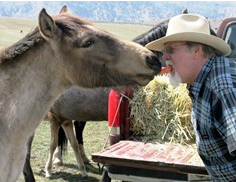 Those wild horses and burros who willingly sign onto people and establish a bond through a process known as “gentling” will be given an opportunity for permanent homes under the watchful eye of the Wynema Ranch Wild Horse Sanctuary Adoption Program. If circumstances change for their adoptive family, return of adoptive animals will be welcomed. Other horses will be given opportunities to participate in programs to help heal, self-empower, and inspire returning veterans, veterans’ families, at-risk youths, foster youths, recent parolees, and those struggling with addictions. Additionally, our rescued herds will join in helping to educate the public, especially our community’s youth, through programs offered at the ranch about the heritage, the behavior, and the beauty of one of America’s most cherished icons − Wild Mustangs. The true legacy we aspire to achieve is: Working together, we hold the space to ensure those beings that once roamed free can be as wild as they need to be under the protection of Wynema Ranch Wild Horse Sanctuary. Maintaining healthy, happy environments is an important and often neglected part of aid work. 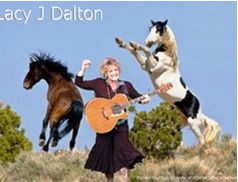 We work with all Wild Horse & Burro Advocates! “Let Em Run Foundation & Wynema Ranch Connection”! PLEASE HELP US HELP THEM! 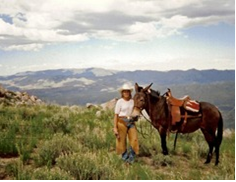 E​co-HorsebackTours, where trail rides brings a closeness to a herd of wild mustangs and observation brings new understanding. A visit to our shop is like stepping back to a gentler, simpler time. Your support is GREATLY appreciated. Where there are horses in need, we’ll be there lending a hand, a smile, and a place to run.